There are two old wisdom say that “Time and tide stay for no man” and “Lost time is never found again”. From here, we can know exactly the extremely importance of the time in our lives and how to keep it. With organizing our time, everything can be done to the fullest. It isn’t only important, it can be also the most expensive thing in the whole world. Some’s, who knew the main importance of the time and wanted to add elegance, went out with attractive designs of watches, which mostly studded with rare and expensive diamonds. Here, we will display the top ten most expensive watches in the world. 10 Brequet Pocket Watch 1970 BA/12 – $734,000. 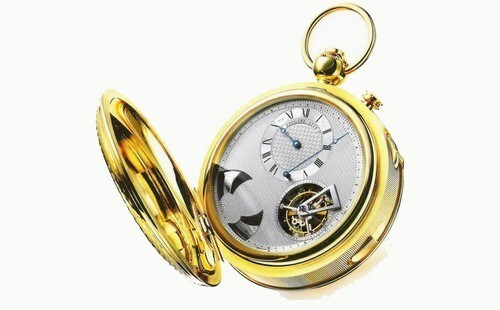 Brequet Pocket watch is very elegant as it is made ​​of 18 karat yellow gold (same brand of marie antoinette watch). This watch is manually engraved on silver facial features of exquisite workmanship with high price tag and perpetual calendar chronograph. The designer is abraham louis breguet. 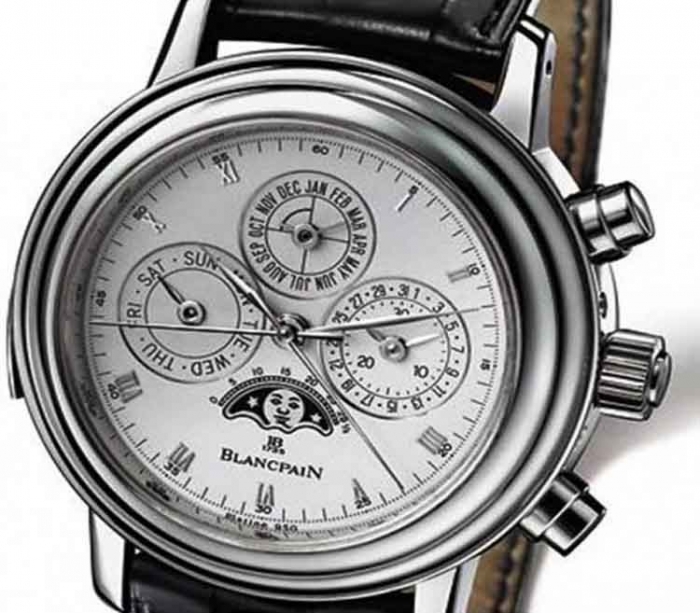 Blancpain 1735 Grande Complication is more than wonderful to wear. Its frame is made with platinum and the belt from crocodile skin. Most of the engine parts industry has been manually crafted and consisted of 740 luxury pieces. Therefore, this is a unique clock of the most complex wrist watches in the world throughout the ages because of the infinite accuracy in luxury timepiece handicrafts made with limited edition. 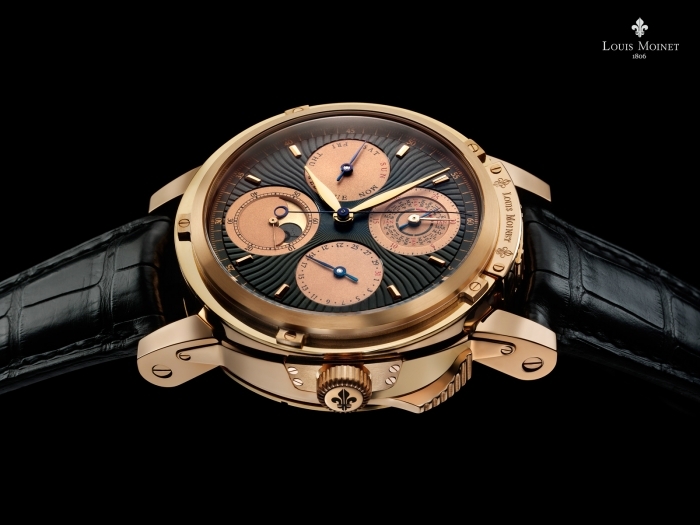 8 Louis Moinet Magistralis – $860,000. This piece is unique one which has a special magnificent complex beauty. It is a watch for men which beautifully contains a piece of a real meteorite that was found on the surface of the moon. This watch is regarded as the most stylish and rarest watch in the world. Hublot Black Caviar was made in 2009. Its design came with high accuracy. 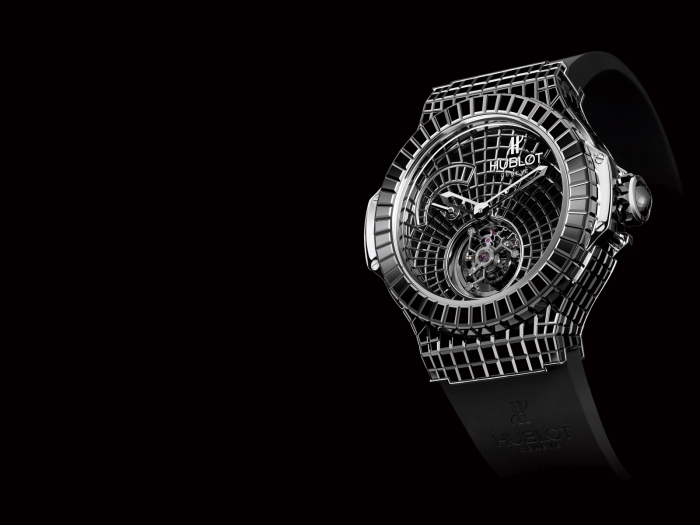 It’s a classic clock hand, which covered with 501 baguette cut black diamonds and 18-carat white gold. 6 Chopard Super Ice Cube. $1.1 million. 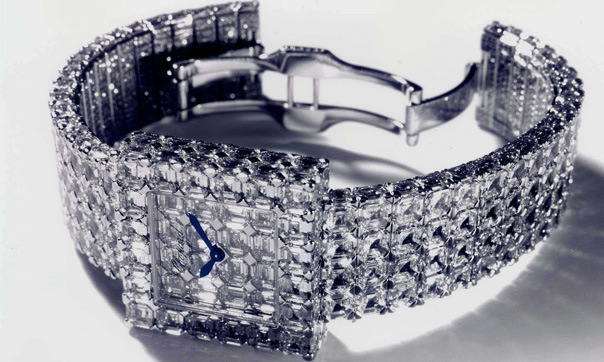 This wonderful watch consists of 60 carats diamonds which cut into cubes. It is a watch and a luxury bracelet in the same time. It has not only a beautiful shape, but also is a water resistant to 100 feet and the resistance to scratches. 5 Patek Philippe Sky Moon Tourbillon. $1.3 million. 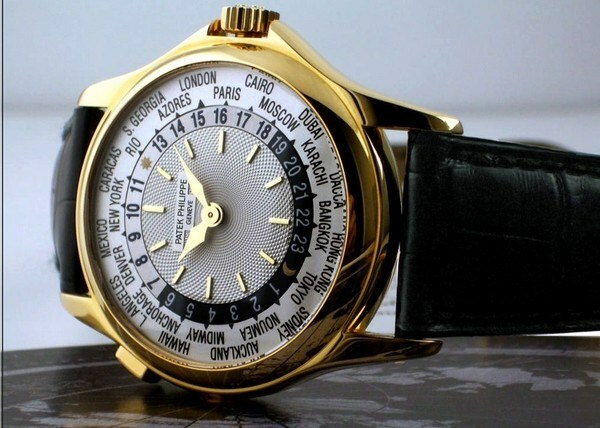 It is considered one of the most complicated wrist watches that was manufactured by Patek Philippe. This watch has a double face: one of them is about the aspects of the form of the night sky and the other front is also complex and consists of the time, date and moon phases. This gives spectacular views for the watch and makes it one piece of the modern art. 4 Vacheron Constatin Tour de I’lle. $1.5 million. Tour de I’lle is the most complicated wristwatch in the world. It was manufactured by the manufacturer, Swiss Vacheron Constantin in 2005. This one was made ​​of gold and blue sapphire. It is characterized by the presence of non-reflective glass, as seen from both sides. 3 Patek Philippe Platinum World Time. $4 million. 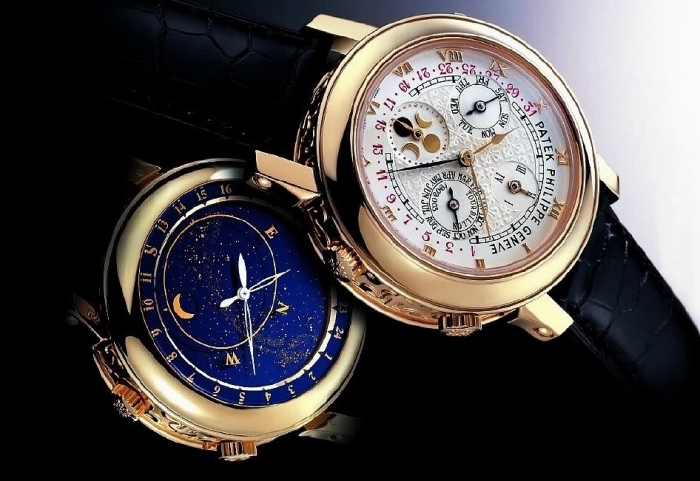 This watch was designed by Patek Philippe and was sold at auction for $4 million in 2002. It was the most expensive wristwatch in the world in this time. This watch has a wonderful variety of finishes to choose from: yellow, white, rose, gold and platinum. 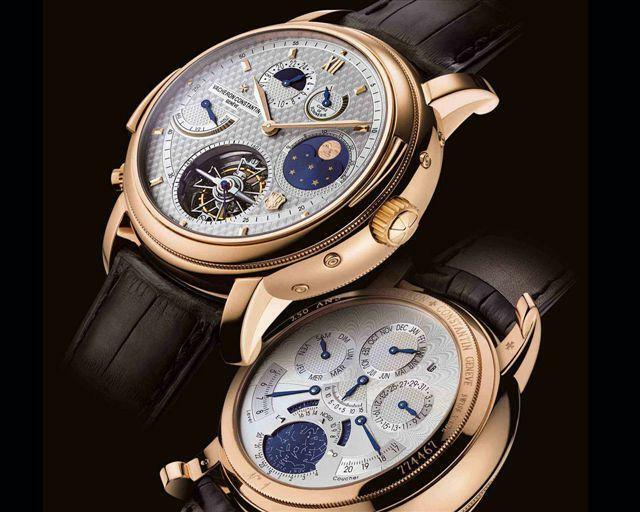 2 Patek Philippe Super Complication. $11 million. 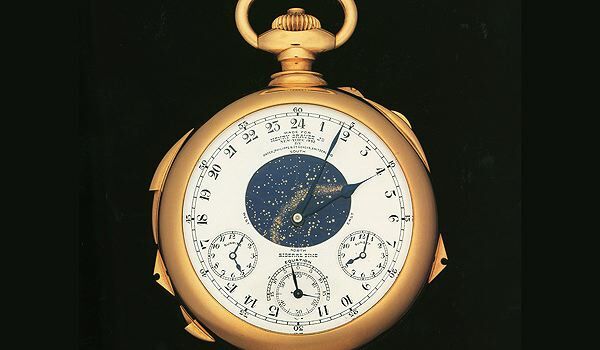 It was made ​​by Patek Philippe for the banking Henry Graves Jr. in 1933. It is composed of 18 karat gold. It took more than five years of work to design this distinctive clock. It has many features such as mechanical timekeeping until after the basic. 1 Chopard 210 karat. $26 million. 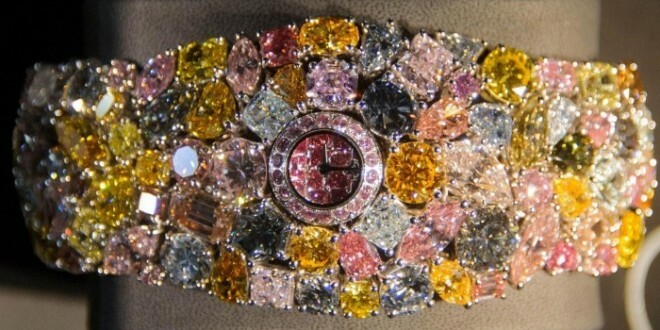 This wonderful timepiece is the most expensive one in the whole world. 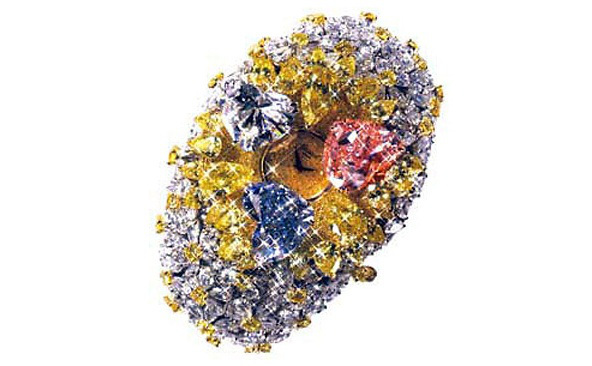 It consists of various colored diamonds. It looks like the bracelet which encrusted by diamond. The jewelry in this watch make it seems as if flowers wrapped around it.